When you run out of space to pack 'em, stack 'em! The BendPak PL-7000XR 7,000-lb. capacity parking lift adds exceptional expansive capabilities to just about any private garage or commercial parking lot. 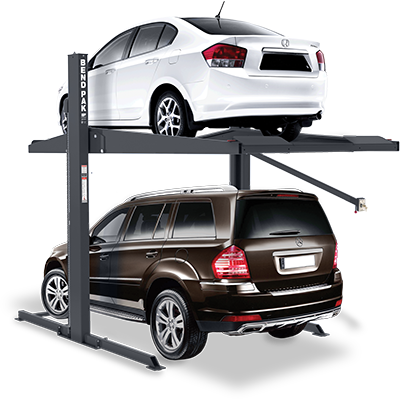 Capable of lifting and storing passenger vehicles and light trucks, this parking lift definitely pulls its weight. A post height of less than 11' makes the PL-7000XR viable for lower ceilings, while the smaller footprint design keeps the floor clear and lets you place multiple lifts in tight rows. As with all BendPak products, safety is our primary concern, so the PL-7000XR is made out of only the highest-quality materials.